I have the Japanese FM-TOWNS version of the Return to Zork game. It works under ScummVM, no problem, ScummVM detected it immediately! as the English CD v1.0 version. (an rtzcd.dat is also in rtzcd.red). One in the base directory, one in the "RTZFM"
directory and one in the "RTZ9821" directory. DOS, RTZFM for FM-Towns and RTZ9821 for PC-98. 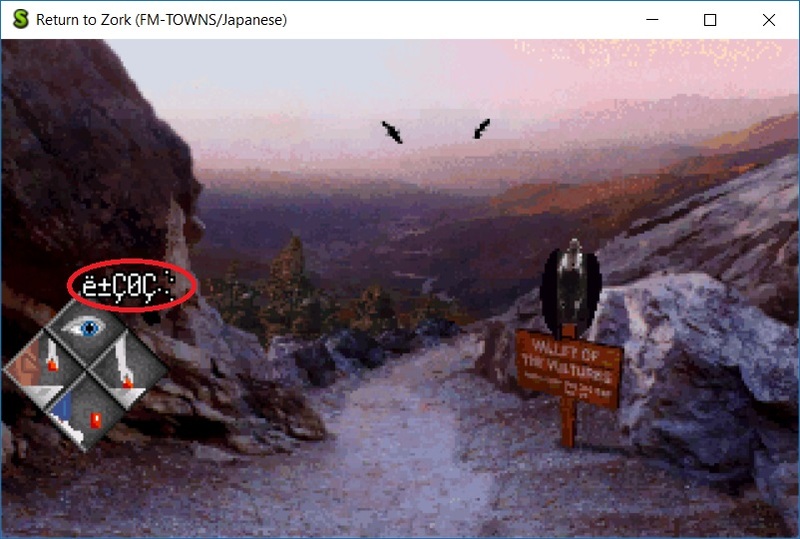 How to add the correct detection in ScummVM dashboard ? Can you help me I don't really know ! The identification problem is resolved. I have one last problem, I guess just to wrap up. I'ts a Japanese fonts ! For FM-TOWN I have added in a game (FMT_FNT.ROM and KANJI.ROM) but is not working. For PC-98 I have added in a game (sjis.fnt) but is not working. I do not have the solution ?? After this, FM-TOWN & PC-98 the versions will be supported by ScummVM.